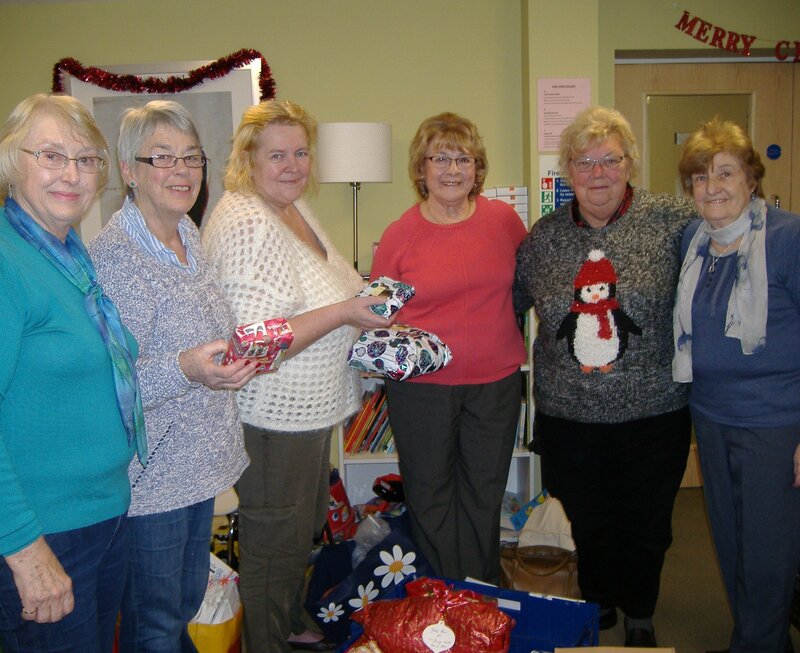 December 2015 - Ladies from eight Swindon Lodges volunteered to assist the Care Assistants at the Swindon Women’s Refuge to gift wrap parcels for their residents and Children for Christmas. Also, for the victims of domestic violence and abuse and their Children receiving support through Swindon Women’s Aid outreach services. Seen in the photo left to right; Pauline Eldridge, Jane Palmer. Diane Lee, Christine Cowen, Jean Gee and Hilary Chambers. Two of the Lady helpers; Alma and Wendy Owen unfortunately had to leave before the group photo was taken. December 2015 - Philip and Sally Bullock presented a Christmas Wreath to Zetland Court which now adorns the front reception doors of the main building. 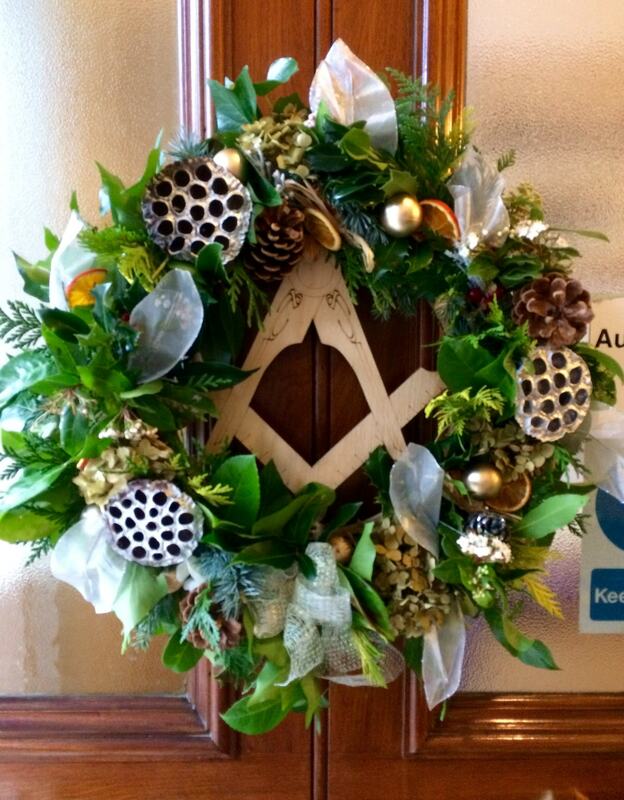 Designed and made by Sally Bullock the Christmas wreath features a unique Masonic centrepiece crafted by Terry Hemmings, Past Master of Highworth Lodge No. 9009. The centrepiece is one of two Terry has produced for Sally to use in her Christmas Wreath workshops, the first of which was held at Freemasons' Hall, Crane Street, Salisbury on Sunday 6 December. As we enter a New Year there is invariably a mixture of apprehension and excitement as we leave the old year with its comfortable familiarity and embark on a journey where the destination is uncertain and might require us to change course if we are to complete it without detriment to ourselves or our connections. Making resolutions at New Year is a common practise but it is something I am reluctant to do especially as I often find myself having to adjust the target far too soon, often within the first months if not weeks of the year. Since I took on the duties of Provincial Grand Master I have been privileged to witness for myself the selfless and dedicated way in which many members of the Province apply themselves to fulfilling the founding principles of Freemasonry which may rightly be stated as Brotherly Love, Relief and Truth. I have met with members of the Wiltshire Masonic Family and have been in awe of how they have gone the extra mile in helping to serve a friend or Brother in time of need. Very sadly I have also experienced a few occasions where feelings of animosity have reached such a level as to truly disturb the harmony of the Lodge. I am often reminded of the wonderful words of the First Degree Long Closing in which we are told that even when we are aware of a Brother's failings we should always "suggest the most candid, the most palliating, and the most favourable circumstances, even when a Brother's conduct is justly liable to reprehension and blame". The reason for such a course of action is plainly stated -"Thus the world may know how dearly Freemasons love each other"
At Christmas I spoke of the need to put into practise what the Sacred Writings describe as 'peace on earth and goodwill towards men' - I went a little further and suggested that if these words are to mean anything at all, they must first be felt and practised by each and every one of us. Hence we are reminded of 'how good and pleasant it is for the Brethren to dwell together in unity'. Sometimes we have to extend the hand of friendship across the divide and build bridges which enable us to work together with that love and harmony which should at all times characterise Freemasons. The New Year promises to be a busy one with our Mentoring Programme being the main feature in January; please do your very best to support the initiative by making sure your Deacons and Wardens attend the meetings. Stephen Bridge will doubtless be speaking about the Tercentenary plans and in particular those which affect the Province. Every member of the Wiltshire Masonic Family will have a part to play in celebrating 300 years of Grand Lodge. In June we will be holding the biggest social event of the Wiltshire Masonic calendar, a black tie Provincial Ball the detail of which will be communicated to Lodge Secretaries and through the Provincial website. It promises to be a fabulous event, please don't delay in booking your ticket with Phil Still. October 2015 - Fortunately the early morning fog lifted to allow members of the Wiltshire Masonic Clay Shooting Association to hold their annual shoot at the Barbury Shooting School at Wroughton. One of the most beautiful locations nestling beneath the Marlborough Downs. 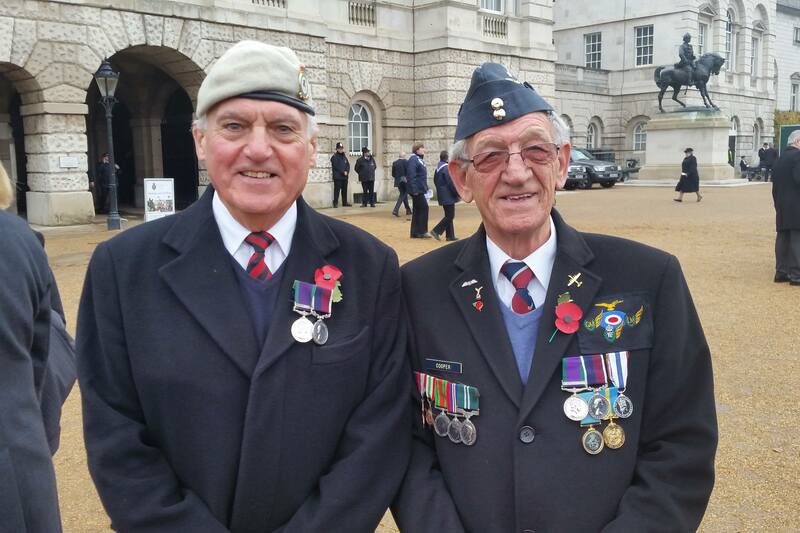 November 2015 - Two Freemasons both ex servicemen from Wiltshire joined the ten thousand veterans who marched from Horse Guards Parade and past the Cenotaph in London's Whitehall on Remembrance Sunday 8th November. Bros Ivan Carey of Vale of Avon Lodge No.8432 and Barry Cooper of St Edmund Lodge No.4714 travelled from Wiltshire to march with former comrades as part of the Royal Air Force tribute to those who made the ultimate sacrifice in two world wars and other conflicts. Proudly wearing their service medals and Royal Air Force ties Barry and ivan were a great credit to the Province, their Lodges and Freemasonry. Although a little chilly there was no rain to spoil the parade of veterans which incldued representatives of not only the armed services but also service charities and civilian organisations. Sally Bullock had an idea on how she could help raise money for the Masonic Samaritan Fund while having fun and making something useful. Her skill as a teacher combined with her love of art and in particular flower arranging led her to set up an annual Christmas wreath making workshop; and just how popular it has become can be judged by its success. This year Sally held two workshops, the first in Salisbury which was attended by over thirty ladies and the second in Swindon which was supported by twenty three ladies and Mike Wilson ( a worthy stand in for his partner Sue who was confined to bed with flu). As a sign of the progress the ladies have made in the craft, they were encouraged to extend their research and produce not only a wreath but also a table decoration and a 'willow' star. No mean feat especially when under the tutelage of Sally and her former business colleague and close friend Carol. The results of the ladies labours will grace the festive tables of many a Freemason's household this Christmas and the wonderfully produced Christmas wreaths will be proudly hung on the door. Sally will hand over £1,000 to the Treasurer for the Masonic Samaritan Fund 2017 Festival. A wonderful achievement of which she can be justly proud. Peter Winton, whose wife Virginia and daughter Holly attended the workshop said "I am thrilled at the success of the wreath making event and delighted that the Winton household will have such a wonderful Christmas decoration to hang on our front door"
Peter Winton DPrGM received two additional pleasant surprises when he recently visited the Methuen Lodge No. 8692 which he attended to hear the 2015 Prestonian Lecture. In his capacity as Chairman of the Masonic Samaritan Fund 2017 Festival, Peter is used to receiving cheques from Lodgesbut on this occasion he was delighted to be given 'real money' and a cheque. Bro Fergus 'Fergie' Hewer was welcomed into the Lodge (he is the Tyler of the Lodge) to make a personal donation to the MSF Festival appeal; while Bro Simon Grove, a Warwickshire Freemason and member of Methuen Lodge presented a cheque on behalf of his Warwickshire Lodge. Bro Ian Priest, Provincial Grand Charity Steward (Centre) is pictured with Simon (R) and Peter Winton (L) following the presentation. 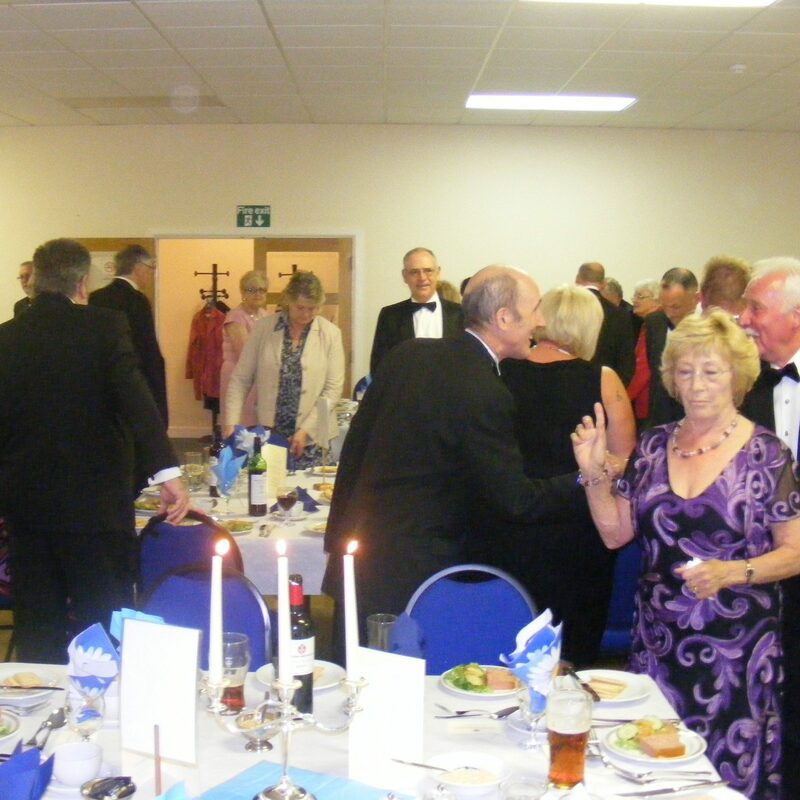 One of the highlights of the year is the dinner for ruling Masters, and the 2015 event hosted by Philip and Sally Bullock was no exception as over sixty members of the Province accompanied by their partners met at Calne Masonic Hall. Sparkling company, short speeches and superb food provided by Andrew and Frances Evans is a sure fire guarantee to make an evening special. Add to that the ladies - resplendent in their finest party attire and it was absolutely certain that the evening was going to be a great success. In welcoming the guests, Philip Bullock reminded the Masters that their year in office would pass in the speed of a heartbeat and that occasions such as this dinner normally occurred just once in a Freemasons life; although he did recognise some faces from past dinners. Operation Christmas Child organised through Samaritan’s Purse has been completed for 2015. Roger and Helen Brooks were joined by Adrian Cooke his wife Poppy and Bros Tony Gay and Gordon Swanson who helped to collect gift-filled shoe boxes from schools, churches and other organisations who took part in Samaritan's Purse Christmas 2015 Appeal. The completed shoe boxes were taken to a central point, for the team had to examine every box and its contents to assess the age group for which they would be suitable. This process continued throughout November and early December before the 35,000 boxes were packed on to pallets ready for loading and delivery to various countries for distribution to poor or under privileged children. Steve Bridge APrGM said - "What a wonderful way to help young children, I congratulate Roger and Helen and commend them for the work they are doing to help under privileged children"
The Pro Grand Master, Peter Lowndes has announced that a new charity called the Masonic Charitable Foundation is to be established, bringing together the charitable activities of the four existing central Masonic Charities. The Masonic Charitable Foundation will continue to offer the same support and services to those Freemasons and family members who need help, as well as support for the non-Masonic charitable causes that the Craft wishes to assist. October 2015 - The Province has launched a new and improved web site, with more features, better page navigation and providing more information than ever before, in an easy to read format. Speaking about the new website, which features a striking image of Stonehenge, the Provincial Grand Master, Philip Bullock said: "Our first website broke new ground, its successor built on well established foundations, and so it is that the latest version has been carefully crafted to provide a superb visual experience for Freemasons and non-Masonic visitors." New pages include easy to view Lodge and Chapter details allowing visitors to see where and when meetings are taking place, in addition they will also be able to view the location using 'google maps' and have access to a photograph of the actual meeting venue. Philip Bullock reminded Brethren that the institution of Freemasonry has a proud and noble heritage which we should make known to the public through our website, the Provincial magazine and Masonic Hall open days where the Provincial display stand can be used to showcase Wiltshire Freemasonry at its very best. 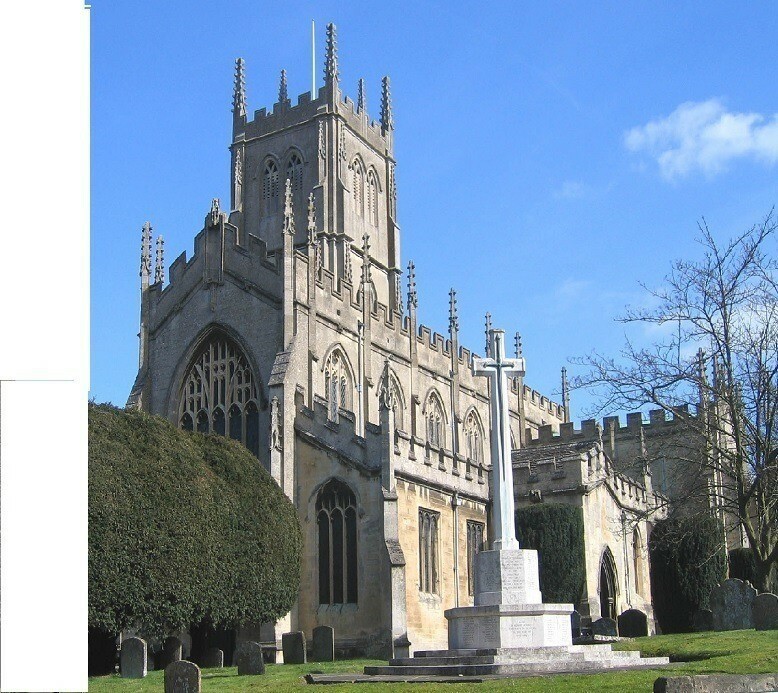 October 2015 - The annual Provincial Church Service held at St Mary the Virgin in Calne was hosted by John Reid, Grand Superintendent In and Over the Province of Wiltshire and his wife Carole. A traditional Sunday lunch, prepared and served by Andrew and Frances Evans was held at the Masonic Hall. This has become a regular feature of the day and judging by the empty plates is clearly enjoyed by everyone attending. W Bro Michael Barratt preached the sermon in which he spoke about the first and greatest commandment - Love the Lord your God with all your heart, and with all your soul and with all your mind. Followed by Love your neighbour as yourself which he suggested resembled the tenets of Freemasonry – a belief in and a love of the Great Architect of the Universe and displaying brotherly love relief and truth. Freemasons, as brothers are expected and pledged to love one another and support each other with that same love and affection which is expected of all Christian brothers and sisters. Whenever somebody challenges me about Freemasonry and asks me whether I find my Christian belief and role of church minister compromised by my membership of the Craft, I easily answer this by pointing out many of the tangible things which we as Freemasons do for and in the Community. The Masonic choir under the guidance of Simon Grove performed beautifully and added musical lustre to the service. 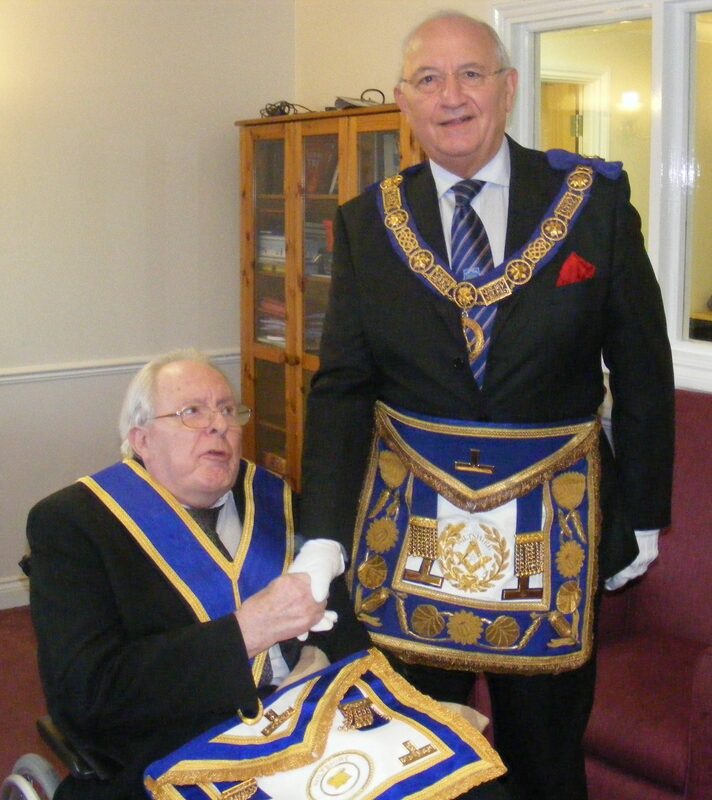 October 2015 -Jim Hurst is well known to many Wiltshire Freemasons as the Past Provincial Grand Charity Steward. Jim and his late wife Aileen moved from Wiltshire to Henley-on-Thames but has always maintained close links with the Province. Francis Wakem was called upon to respond to the 'Toast to the visitors' which allowed him the opportunity to reflect on the Masonic journey Jim had taken leading to his Installation into the Chair this evening - for the third time. 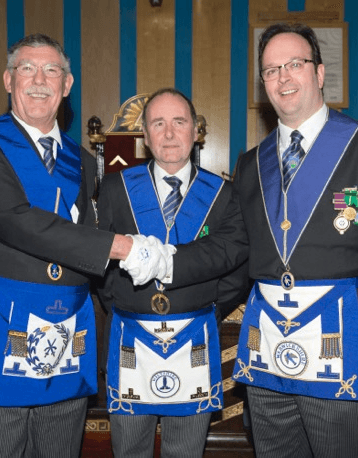 Jim has been Master of United Service Lodge No. 1341 (Hong Kong – 1982) and Fiat Lux Lodge No. 9733 (Wiltshire – 2008). Francis spoke of his belief that, once settled in their new home, both Aileen and Jim would step back from their considerable work in the Church and with Freemasonry, but he was wrong on both counts. It was a direct result of Aileen’s love of Jim’s involvement with Freemasonry that Jim soon became actively involved in Thames Lodge No. 1895 which caused Francis to wonder aloud as to whether Aileen was aware that this Masonic Hall was just across the road from their new home! Francis closed his comments saying - "Aileen is responsible for Jim’s Installation this evening; Aileen is with us in spirit, and be sure Worshipful Master that Aileen will keep you on your toes during your year in the Chair." October 2015 - Sometimes circumstances dictate the order of events and for Bro Graeme Warr a member of Harry C Preater Lodge No. 8204 his inability to attend Provincial Grand Lodge at Salisbury meant he was unable to be Invested as Past Provincial Grand Registrar by the Provincial Grand Master. However, Philip Bullock wasn't going to allow a little matter of a few days prevent him from honouring Graeme, and so it was that with Peter Cowen and his wife Christine, Tony Glasscoo, John Bartlett, Peter Hanfrey, Eddy Hayward and Terry Baker representing the Lodge; Philip journeyed from Easterton to visit Graeme and his wife Sarah at Fitzwarren House, Kingsdown on the outskirts of Swindon. Having presented a clearly delighted Graeme with his new regalia, Philip and the Masonic visitors were treated to tea prepared by Graeme's wife and Christine. Frank Fletcher. Graemes's clay shooting partner was also present at this wonderful occasion. Graeme was Initiated in to Harry C Preater Lodge No. 8204 in 1993 and was Master of the Lodge in 2003. He received his first Provincial honour in 2009 when Past Provincial Grand Master, Francis Wakem appointed him Past Grand Sword Bearer (a rare honour for a first appointment). August 2015 - The ever popular Wiltshire Masonic Charity Golf Day returned to the delightful but challenging Wrag Barn Golf Course for the fourth time. The golf course, located in the pretty village of Sevenhampton, a good par five from the town of Highworth, offers superb amenities, including a driving range and short game practise area. 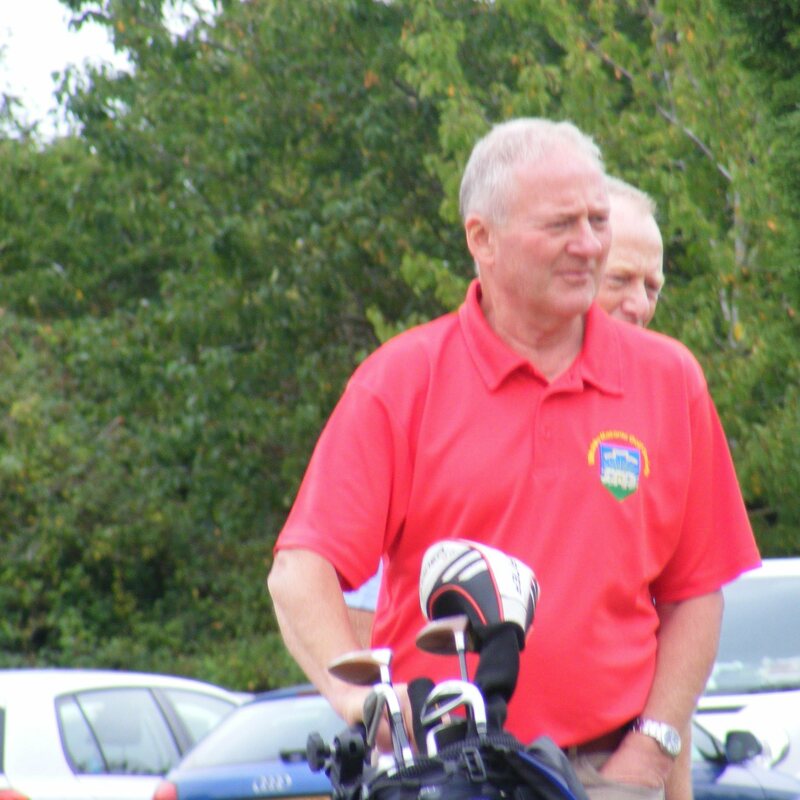 Philip Bullock, Provincial Grand Master was on hand to ensure fair play and over the course of five hours he drove his buggy around the course, offering encouragement to all the groups. In the evening Philip thanked the organising committee and presented the prizes to the worthy winners. In his short speech he made clear that the real winner on the day was the Masonic Samaritan Fund and that and all profits from the event will go towards the Provincial target of £750,000. The Wrag Barn course has already been booked for the 2016 event and the organisers look forward to welcoming old and new friends to play in what is undoubtably one of the regions finest golf days. 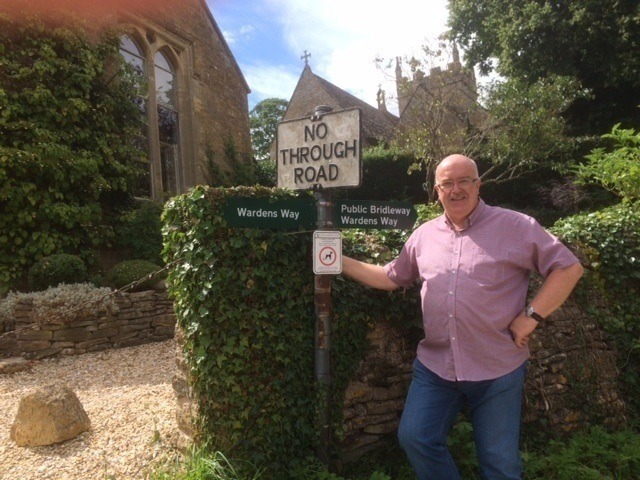 August - 2015 Bro Gary Dolphin is really looking forward to his year in office as the Provincial Senior Grand Warden, and has made sure he knows how to get to every Masonic Hall and meeting place. For those who know Gary well, it will come as no surprise that he has been meticulous in planning ahead, and having been Installed at Provincial Grand Lodge, Gary is looking forward to travelling throughout the Province in support of the Provincial Grand Master and the Provincial team. No doubt he will be looking for clues, and Wardens Way is just one of the signposts he will be following. On the other hand Gary can use the eMason app on his mobile phone, or view the website page which contains directions on how to get to all the Masonic Halls and meeting places in the Province. 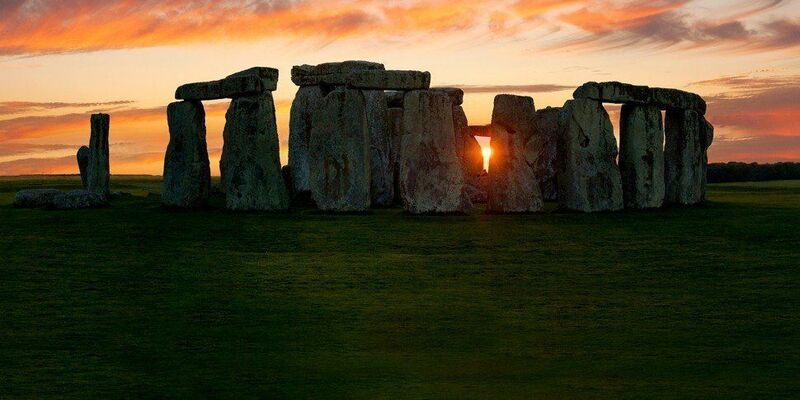 Stonehenge, standing on Salisbury Plain with its stones visible from afar, has been a Wiltshire landmark for centuries attracting a million visitors a year. It is England's most important monument, but 100 years ago its owner Cecil Chubb, a Wiltshire Freemason put the 'monument' up for sale. On 21 September 1915, Cecil Chubb paid £6,600 for the monument at an auction in Salisbury, Wiltshire. It happened, he said, "on a whim". His wife Mary was reportedly less than grateful for the romantic gesture, possibly because the price equated to as much as £680,000 in today's money. "It's said that Mary wanted Cecil to buy a set of curtains at the auction." On 26 October 1918, 16 days before the Armistice ended World War One, Chubb passed Stonehenge into public ownership, and the next year Prime Minister David Lloyd George recognised his generosity with a title, Chubb becoming Sir Cecil Chubb, First Baronet of Stonehenge. Chubb came from humble origins. 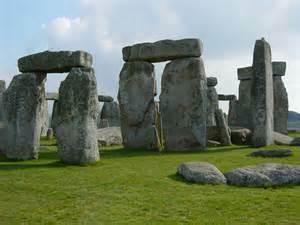 Born in 1876, his father was a saddler and harness-maker in the village of Shrewton, a few miles from Stonehenge. Having attended a grammar school, he went up to Cambridge University, became a barrister and amassed a considerable fortune. Just when you thought - it can't get any better than Bro John Brown on a horse (see below) along comes John Brown on a tank! Well an FV603 Saracen six wheeled armoured personnel carrier to be precise, complete with Browning machine gun and the ubiquitous bren gun which served the British Army so well over three decades and more. The Saracen built by Alvis (who also made motor cars) was used in Malaya and Aden and probably became synonymous with Army activities when assisting in the policing of Northern Ireland. Owned by Bro Philip Burgess, it really is a 'beast of a machine' and the picture provided by Philip shows Pleydell Lodge members Leslie Lloyd manning the Browning with John Brown on the bren gun. 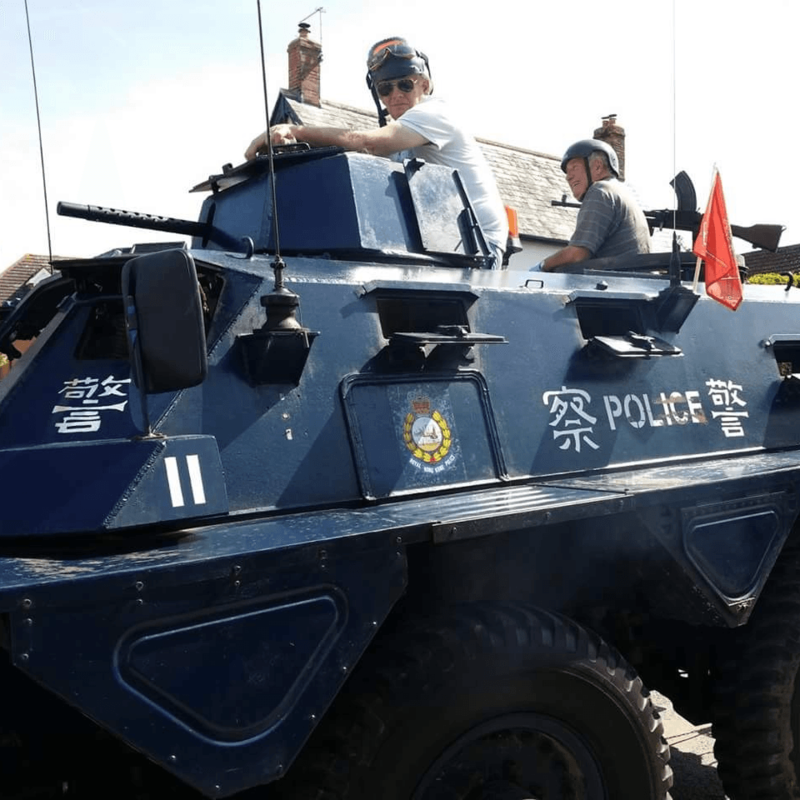 Many thanks to Philip Burgess and the Pleydell warriors for allowing us to share their clear delight at playing soldiers (or is that Chinese policemen) in what is a fantastic machine. Rumour has it, the last time Bro John Brown (Calley Lodge) rode a horse was either at the Charge of the Light Brigade or on the occasion of the last cavalry charge by British troops during the First World War. Surely that can't be true? What cannot be denied is that in this picture John cuts a dashing figure sitting astride his magnificent mount. Speaking to the editor he said - "I have really enjoyed saddling up and riding this superb horse, but I think I'm more suited to the horsepower in my car"
Having made the mistake of showing the picture to his 'friends' they thought publication would elicit a degree of sympathy for the poor horse having to carry John's weight plus the great opportunity to have a little chuckle at John's expense - something he was very happy for them to do. 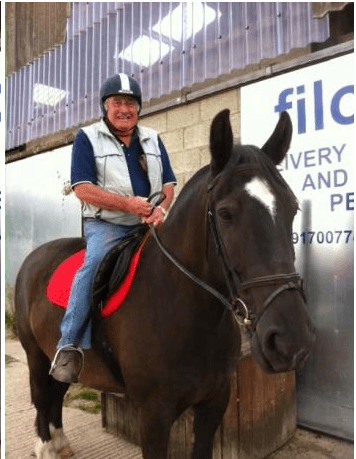 Thank you John for being such a good sport and allowing us to publish the photo on the website, thanks also to Ian Lever who had to show John how to downlaod an image from his smart phone to the editor.